=parocktikum= In the following weeks I tuned in regularly into that broadcast, it was called Parocktikum and Lutz Schramm, who did it, opened up his broadcast in 1989 more for those GDR punk bands, which weren’t before allowed to be broadcast (while Punk/Indie was broadcast more often since 1986). 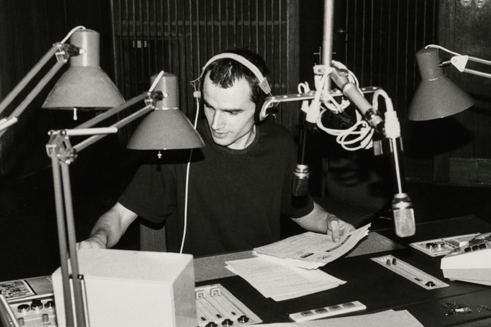 That showed me how amazing radio could be, he played everything that was important for me at that time (Chumbawamba, Nomeansno) and gdr punk bands like Gefahrenzone or Fanatische Frisöre which I didn’t know by that time. =Radio Blau= Years later I took part in some radio broadcasts on local free radio “radio blau“, but somehow realized that I was mostly too confused to say something in front of a microphone. We did a live broadcast with our favourite tapes (off course we had spooled the tapes carefully to songs). I played some of the songs that had amazed me so much some years before, when I heard them the first time moderated by Lutz Schramm. This is dedicated to free radio stations. I assembled a whole lot of them here, you might as well listen (most live streams work with VLC).